Hi Johanna! Please tell us a little bit about yourself. Hi! When I was sixteen years old I moved from my parent’s home on the island Tjörn to the city center of Gothenburg. Since then I have been taking care of myself and focused on my own goals in life. Before Cellink, I worked with space technology which was very interesting. I have always been interested in technology and Cellink is a great platform for that. After long days at the office, I like to work out or cook dinner and meet friends. 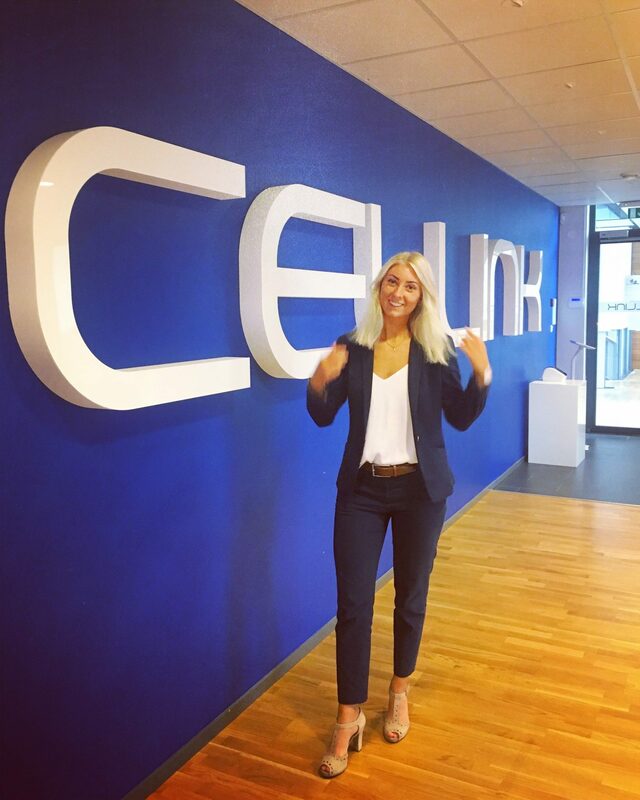 I really wanted to work at Cellink since you can combine your everyday work with developing new technologies for the future. As a purchaser, I get the opportunity to see and be a part of this life-changing technology. I have always felt that it is important to make a change for other people and it is a privilege for me to be able to do that on a daily basis. During my lifetime I hope to see body transplantations using 3D-printed organs. I sneeze really funny and loud. Everyone at the office can hear it and starts laughing. Since I was 4 years old and until I became 15 years old I really wanted to become a police officer. If I had one superpower I would like to be able to speak all the languages around the world and in that way communicate with everyone on this planet.